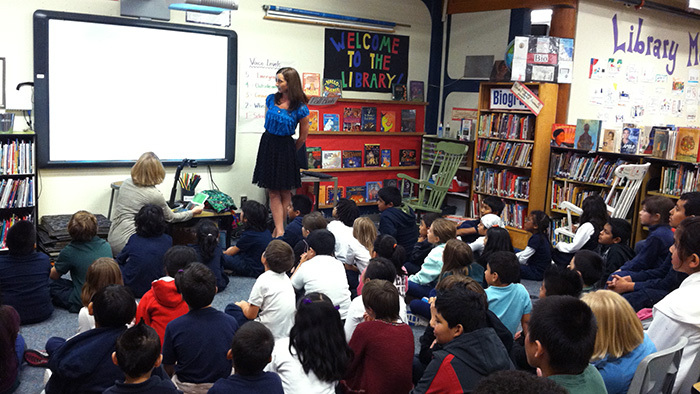 Author, Jill Brazier, presented Doley to four of the school’s bilingual elementary school classes in their colorful library. The students had lots of questions – particularly about what it was like to live in a tree-house! A copy of Doley was donated to this wonderful school, for kids to enjoy for years to come. Beacon Hill International School offers bilingual programs in Spanish/English and Mandarin/English, as well as English only classes. Their focus on academic excellence, bilingualism, and cultural and global competence offers elementary school students a world class education with a global focus. Thank you Beacon Hill International School!